Drawn in by the reputation of the islands, a new English family move to the area, eager to give their autistic son a better life. But when a young nanny's body is found hanging in the barn of their home, rumours of her affair with the husband begin to spread like wild fire. 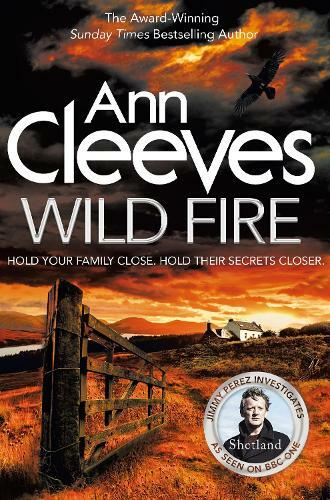 We are very excited to welcome Ann Cleeves to our store to sign copies of the last book in her Shetland series 'Wild Fire'. Pop along and meet one of our finest crime authors writing today and the inspiration behind the BBC's Shetland series. What a fitting tribute and farewell to Jimmy Perez. Having followed him and his cases since book one, this is the last in the series and there’s a very fitting ending although it’s a new start for many characters.